A psychic attack is not just feeling negative energy. 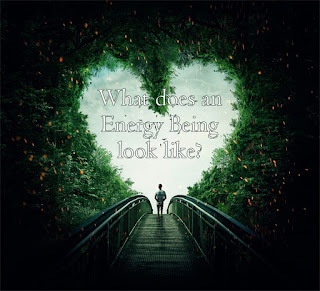 It is having negative energy sent AT us by someone else. It's a purposeful attack, even if the person didn't mean do it on purpose. A 'on purpose' psychic attack would be someone who purposefully deals with dark energy, dark spell casting, etc. They produce a psychic spell to attack you. Again - very 'on purpose'. "Off purpose" psychic attacks are from people who might be jealous of you or hold a grudge against you for some reason. They may mentally send you hateful thoughts, but they most likely do not have any idea that those hateful thoughts are a psychic attack. 4 days ago I went through a wonderful evening where I achieved a new ledge, a new baseline of awareness. Less than 2 days ago, my thoughts went dark. I couldn't see outside of the anger and frustration I was in suddenly. I found myself asking certain questions I hadn't been thinking of just moments before. I found a moment's respite through watching a video with Neville Goddard speaking, but it didn't turn me around and the little light I gleamed from his talk went out almost the moment I closed the video. Yesterday I fought anger, frustration, and the desire to do harm constantly. I had a 2.5 hour respite in the middle of the day where I read Sara by Esther Hicks (And if you haven't read it, I highly suggest it. Fantastic book!). But almost the moment I ended the book, the dark questions and anger returned, taking small parts of the book and warping them in my head until I was back to those same dark questions again. It should be no surprise that this morning I woke up in a really bad mood. Anger shimmered off me. I couldn't find hope. I couldn't find joy. I couldn't find a desire to get back to it. I was hopeless and thoughts of suicide pecked at the outer edge of my consciousness. I called aloud for my guardians and my guardian angel to help me and I received the strangest thought - to go into my bathroom. I went in and another thought came to me. "Ask if it's yours." If you haven't played the "Is this mine?" game, you should try it. If you're empathic it will tell you if your bad feelings are from you or from someone else. The moment I asked that question mentally, all of the anger, fear, frustration, etc went away for a brief moment. My entire aura lightened and I knew what I had been feeling was NOT from me. Unfortunately, the shock from realizing I had been suffering through someone else's thoughts made me freeze up and instantly the negative feelings came back. I burst into tears and once again begged to know what to do. I was reminded to protect myself. So I did in in the best way I know how. I imagined white in front of me, behind me, on each side of me, below me, and above me. I was too jarred to make it work, so once again, I begged my guardian angel to help me. He strengthened my shield and in less than 20 seconds the dark energy was completely gone. And it's still gone because my shield is there. I cannot even explain the relief and lightness I feel. Psychic attacks are pretty scary... IF you don't understand what's going on. However, once you know how to protect yourself, they aren't as terrifying. There are tons of ways, but I'm going to give you the few ways I know of. 2. Imagine purse white light all around you. If you aren't currently UNDER psychic attack, this will protect you from it. IF, however, you are like I was and under attack, you will most likely need some extra help. Call on your guardian angel, your ascended masters, faeries, whatever good spirit you believe in, and ask them to strengthen your shield. 3. Use the "Is this mine?" game. If you're like me, you'll forget about it unless reminded, but it does give you the knowledge if bad energy is from within or without. 4. Shield yourself before you get out of bed in the morning. This one, I'll admit, is more of a reminder to myself to shield myself every day so this kind of thing can't have the same result. Feel free to look up ways to fend off Physic Attack online. Keep in mind this warning: If the ways someone mentions have to do with fighting off the attack or sending back an attack, close the browser window. They are not going to help and will, in fact, make things worse. Feel light. Feel love. And continue in joy. I wish I'd known all these things years ago. There were several times in my life where the negativity was so dark, so bad, I now wonder if that's what was going on.